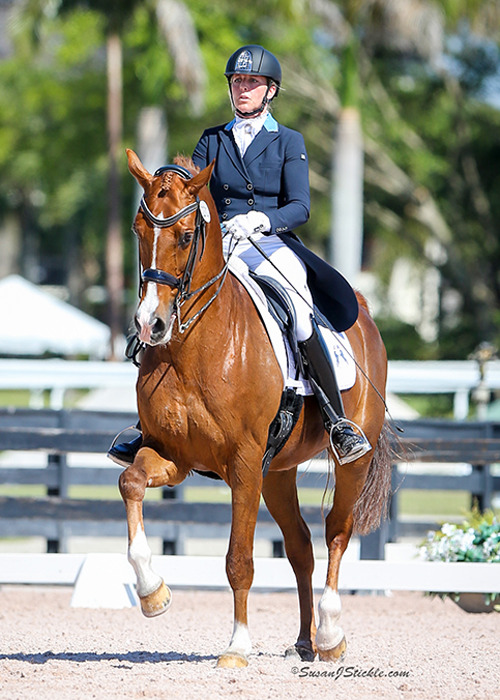 Dressage is the ultimate expression of horse training. These horses perform at the highest levels of competition. 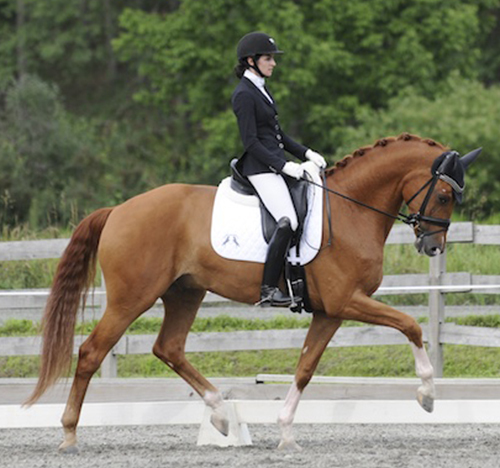 A 2000 Swedish bred gelding, Adelante is Eliane’s grand prix mount. Eliane imported Ade at the end of 2011. 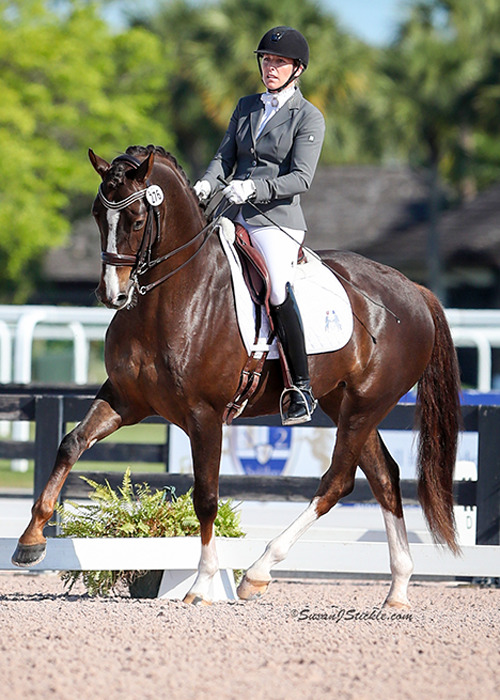 After only four months together, the duo earned an impressive 69% in the grand prix ring during the Florida 2012 season. Ade continues to be a great partner for Eliane in the CDI arena. Codiak is a very impressive 7 year old gelding who began his career with Eliane in February 2016. After only three competitive appearances, the duo were crowned champions at the 2016 Regional Championships in Saugerties, NY. Codiak shows the ability of a promising future at the highest levels internationally. An impressive 2010 gelding, Fellow joined Team JCS USA in October 2015. Fellow spent his first few years being trained by Tristan Tucker, who refers to the talented youngster as a ‘Ferrari.’ Placing third this summer at the 2016 Regional Championships, Fellow will be moving up to third level this winter in Florida under assistant trainer Jessica Forend-O’Reilly. A beautiful Dutch bred gelding, 6 year old Flynn joined our team in August 2015 and spent the year training with Tristan before he was imported to the U.S. in August 2016. Flynn will begin competing at third level during the 2016-2017 Florida season. Goldstrike was beautifully started and trained by Tristan Tucker and caught the eye of Eliane in summer 2015. After finishing seventh in the 2016 Pavo cup with Tristan, Goldstrike was imported in August 2016. He will be competing with Jessica in the FEI 6 year old tests this winter. A gorgeous 2011 mare, Grace joined our European team in 2015. Grace spent the past year on our farm in Belgium where she was loved and ridden by Evy Cornellisen, our European manager. Together they went on to win the Dutch national title in the lower class. Grace was imported to the U.S. team in December 2016 and will be competing on the Florida circuit this winter.